Most Americans aren’t familiar with the Chinese car brand Zotye, but the painful car geeks that make up 90 percent of our readership are likely to remember that there was a Chinese carmaker that built a shameless copy of a Porsche Macan. That’s them. Now, it seems they have plans to come to America, and be the first Chinese brand to sell under their own name. This could be fun. While Chinese-built cars are being sold in the U.S., so far none is being marketed or sold under a Chinese brand. Zotye Automobile has partnered with HAAH Automotive Holdings to develop a sales and distribution network in America, with the goal of selling Zotye vehicles in the U.S. by late 2020. Any company that calls itself a “disruptor” always wins some eye-rolls from me, but, who knows, maybe this will actually happen. Zotye’s product lineup is interesting; they started out building mostly on licensed Fiat platforms, which even included a version of Fiat’s delightfully bonkers Multipla, which they called the Multiplan. Zotye USA is our second brand with HAAH having US distribution rights to sell their full range of SUVs. 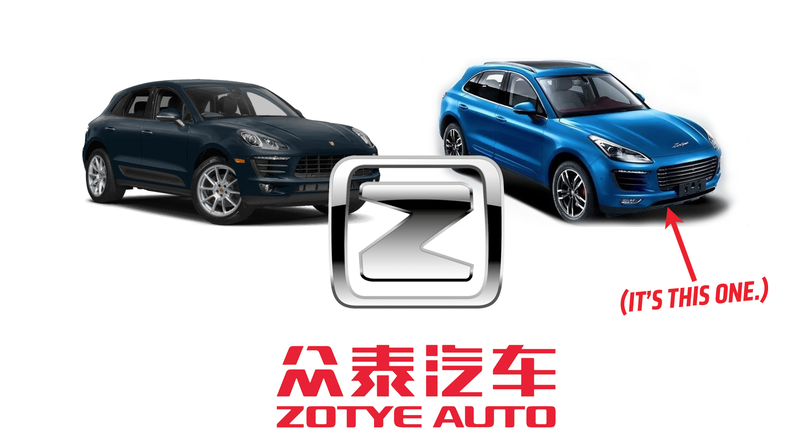 Zotye is one of the fastest growing car company’s in China and is a JV partner with Ford. The first model T600 SUV will arrive in the US September 2020. That’s a very normal, modern-looking SUV. The profile is quite Volkswagen Touareg-like, and it would disappear in any American parking lot, no problem. The engine is a 1.5-liter inline four, making around 160 horsepower, which seems adequate. These start around $18,000 in China, which is pretty cheap. If they can keep a price around that while meeting U.S. emissions and safety standards, they might have decent luck. What’s going to be most interesting to see is if Zotye will continue with their proven design strategy of shameless knockoffs. Cars like the very Macan-like Zotye have been very successful for Zotye, but will that kind of thing fly in America? I guess we’ll see. I sort of hope they do try some Porsche knockoffs here, including a 911 clone with a rear-mounted, transverse inline-4 that makes about 170 horsepower or so. And sells for about $23,000. That would be a fun shitstorm to watch.